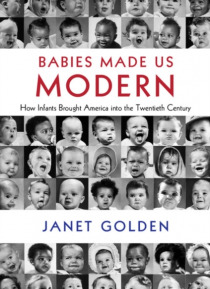 Placing babies' lives at the center of her narrative, historian Janet Golden analyzes the dramatic transformations in the lives of American babies during the twentieth century. She examines how babies shaped American society and culture and led their families into the modern world to become more accepting of scientific medicine, active consumers, open to new theories of human psychological develop… ment, and welcoming of government advice and programs. Importantly Golden also connects the reduction in infant mortality to the increasing privatization of American lives. She also examines the influence of cultural traditions and religious practices upon the diversity of infant lives, exploring the ways class, race, region, gender, and community shaped life in the nursery and household.